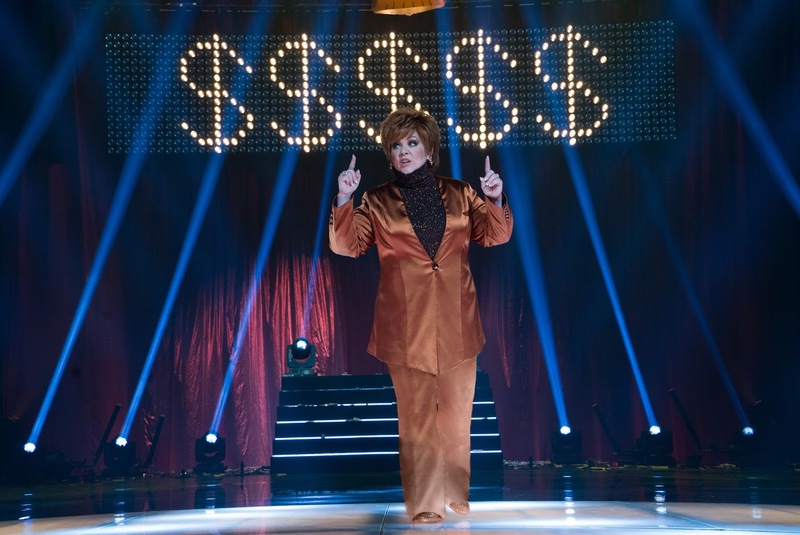 Apparently Melissa McCarthy and her husband, Ben Falcone, wanted to follow-up their multi-award winning Tammy with another outlandish character study that was also intended to be named after the main character, which would have been Michelle Darnell in this case, but given the less than glowing reception, but still bankable success of the film ($100 million worldwide on a $20m budget) it seems Universal took a note out of Warner Bros. misstep and allowed the husband/wife writing/directing team to have free reign over their material as long as they had final say on the title which has now been re-branded The Boss. After the fantastic work that McCarthy turns out with director Paul Fieg it is always somewhat disappointing to see her return to lesser material and even more disappointing that this lesser material comes from her own mind with what one would imagine would be her best collaborator. 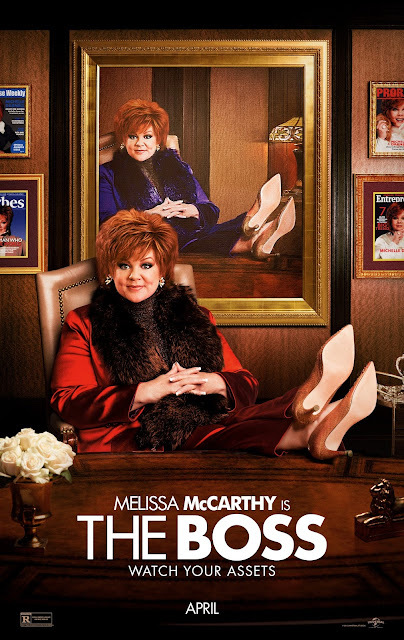 Instead, Tammy is by far her worst film as the headlining star and this first trailer for The Boss doesn't give me much hope that this follow-up will be much better. 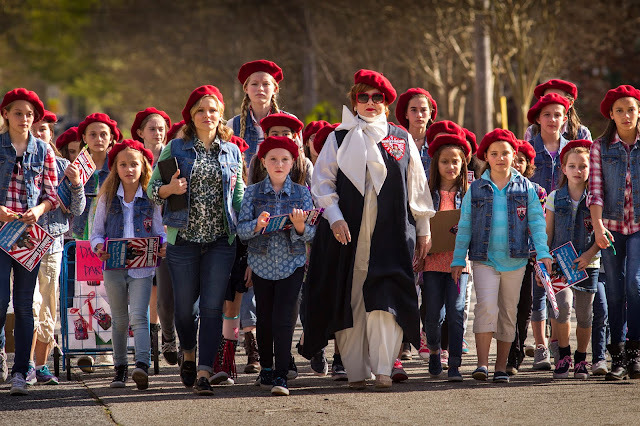 The premise is pretty solid and the supporting cast is nice (so was Tammy's), but the trailer essentially gives away the entire film only eliciting a few chuckles along the way. It's probably too optimistic to think McCarthy and Falcone crafted a script and character that provided some kind of social commentary on tyrannical leaders with too much money that would come out in a timely fashion, but hey! I guess we'll see. The Boss also stars Kristen Bell, Peter Dinklage, Kathy Bates, Kristen Schaal, Timothy Simons, Margo Martindale, Cecily Strong and opens on April 8, 2016. 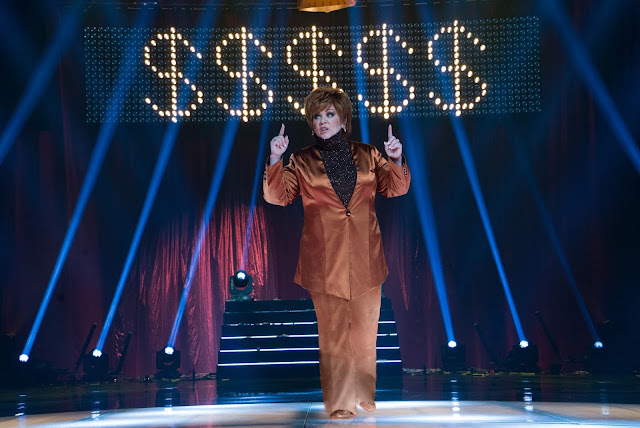 Synopsis: Academy Award®-nominated star Melissa McCarthy (Bridesmaids, The Heat, Tammy) headlines The Boss as a titan of industry who is sent to prison after she’s caught for insider trading. When she emerges ready to rebrand herself as America’s latest sweetheart, not everyone she screwed over is so quick to forgive and forget. McCarthy is joined in The Boss by an all-star cast led by Kristen Bell, Peter Dinklage and Kathy Bates. Directed by Ben Falcone (Tammy), the comedy is based on an original character created by McCarthy and written by McCarthy and Falcone alongside their Groundlings collaborator, Steve Mallory. The film is produced by McCarthy and Falcone through their On the Day productions and Will Ferrell, Adam McKay and Chris Henchy through their Gary Sanchez Productions.